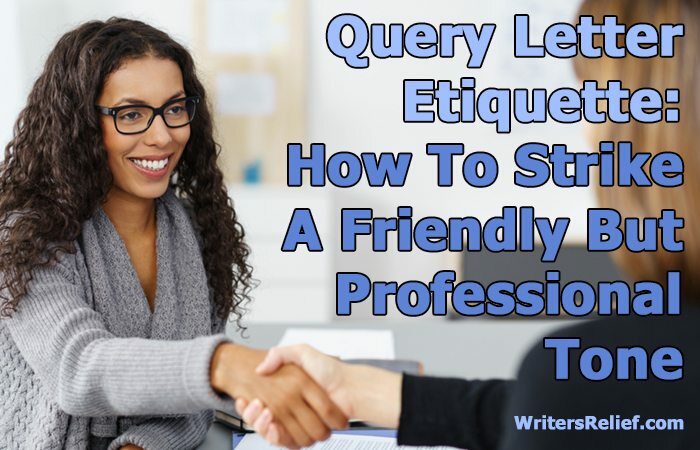 Query Letter Etiquette: How To Strike A Friendly But Professional Tone - Writer's Relief, Inc. If you’re writing a query letter to pitch your book to a literary agent, you may want to consider using a natural, friendly voice rather than a more formal, standoffish, traditional tone. 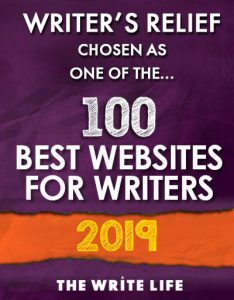 This simple strategy may increase your odds of connecting with a literary agent. 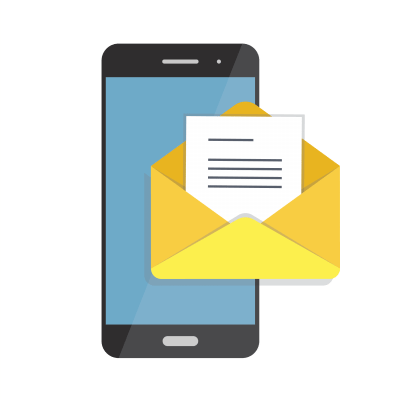 Why Does The Tone/Voice Of Your Query Letter Matter? In a cover letter for a corporate job, it’s your experience that counts most. But when you’re a writer trying to convince a literary agent to represent your book, it’s your talent, insights, and personality that will help close the deal. The tone of your query letter will help convey these qualities to literary agents. Personality is especially important for writers today. While most literary agents don’t expect a writer to be a social media guru, there is a certain amount of pressure for writers to self-promote—and social media tends to be a driving factor of book sales. Who you appear to be in your query letter hints at the type of writer you’ll be on social media. Will you be friendly, approachable, and natural? Or will you be formal, standoffish, and stiff? You can guess which personality marketing teams prefer. Also, literary agents tend to enjoy working with courteous, professional writers who have easygoing personalities. The voice you use in your initial query could set the tone for your future relationship with an agent. How Do You Write A Query Letter That’s “Warm” But Also Professional? Use contractions. Rather than writing cannot, write can’t. Instead of I have not yet, try I haven’t. Written-out constructions tend to feel heavy and formal, so lighten up (and save space) with contractions. Sound genuine and enthusiastic. Instead of writing “thank you for considering my work” in a way that makes your gratitude sound like standard boilerplate prose, think of a way to honestly express your thanks. Warm up your author bio with some personal details. A formal author bio is limited to your publication credits, education, and work history. But a query letter isn’t a formal author bio—it’s an enticement about you and your book designed to pique a literary agent’s curiosity. Include a little bit of personal information about yourself in your author bio: just be sure you know the right way to do it. Use shorter sentences. While long sentences that meander through whole paragraphs might work well in your book, shorter sentences are better for your query letter. There are three reasons for this: First, short sentences are easier for agents to skim; second, they tend to have bigger emotional impact in fewer words; and finally, they feel more informal. What If You Just Don’t Have An “Informal” Personality? A writer can be sincere and sympathetic without necessarily being bubbly and outgoing—and that’s okay! Plus, authors who write books on serious subjects might not want to frame their topics with a casual, off-the-cuff tone. If your prose matches your intentions, you can sleep well knowing that you’ve done the right thing. QUESTION: What would you mention in your query letter to make it more personable and friendly? ← Writers: Should You Stop Using A Keyboard And Grab A Pen Instead? Thanks for the tips. I tend to follow my personality when writing to an editor/agent. But I also have caught myself using voice that’s a little too formal. I’m bookmarking this article for future reference. Thanks again. Thank you so much for these tips. I’ve shared generously online.